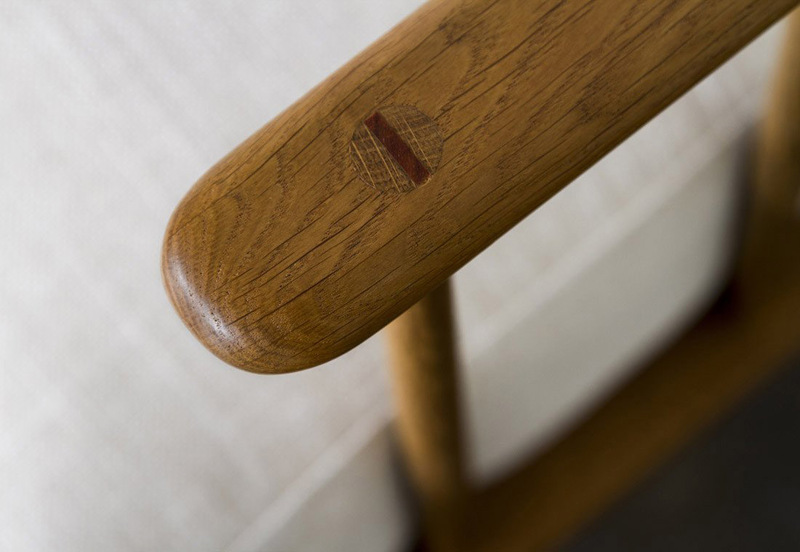 The Distrikt Armchair features a designed inspired by George Nakashima’s exquisite aesthetic and skillfully engineered. 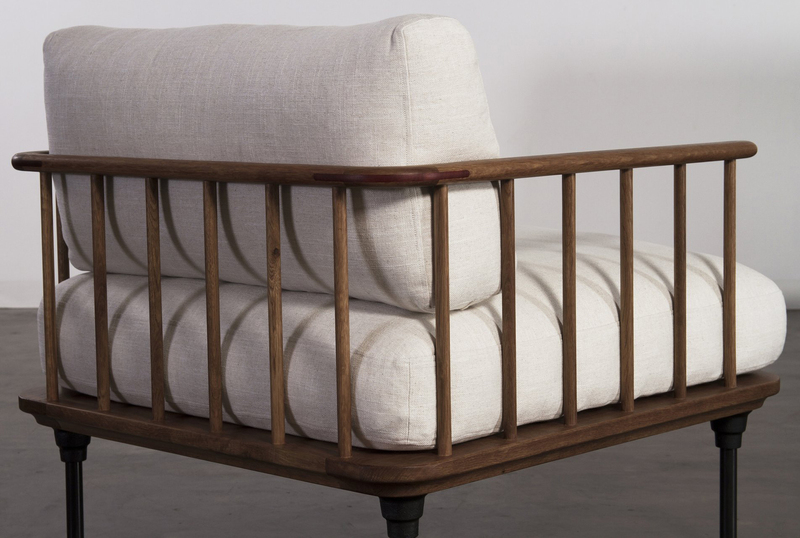 This industrial classic design is constructed using solid oak wood with African padouk joints. The comfortable fabric cushioning are made using composite duck feathers and down with fiber balls. Resting below the seat are 4 blackened steel legs with adjustable brass feet. 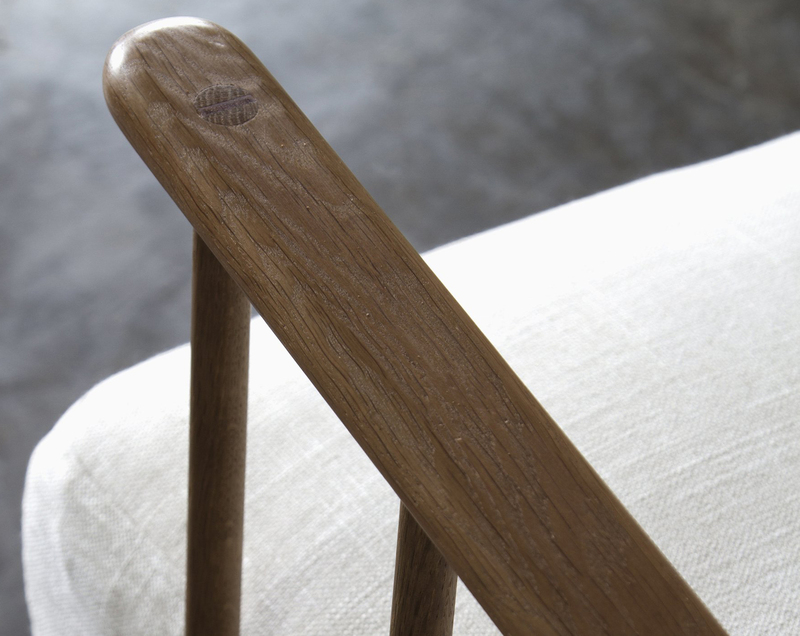 This chair comes in smoked oak and hard fumed oak.